If it says Disney, you get Disney. If it says My Little Pony, you get My Little Pony. Disney is roughly equal to My Little Pony. If you like Disney, I suspect you will like this book. 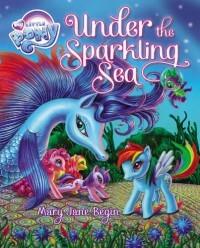 If you like My Little Pony, you will love this book.